Pediatric Occupational Therapy You Can Trust! Kid Pediatric Therapy Can Make A Difference! Our therapists are dedicated to providing the highest quality services available to all of our clients. Print off your forms early and learn more about what we offer and why our clients love us! 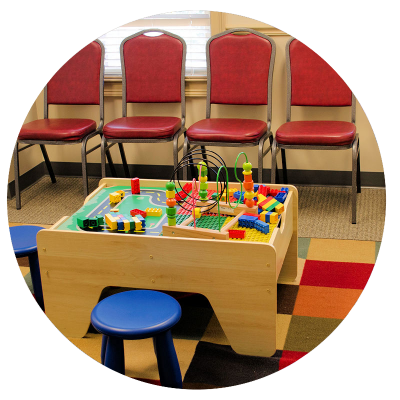 We offer both Occupational Therapy and Speech Therapy with a wide variety of plans to fit your needs. Providing speech & occupational therapy services for patients all around Buford, Suwanee, Sugar Hill, Flowery Branch, Gainesville, Braselton, Duluth & more. At Helping Hands Pediatric Therapy, we offer Occupational & Speech Therapy for children with special needs. Our therapists are dedicated to providing children, parents and physicians with the highest quality services available. 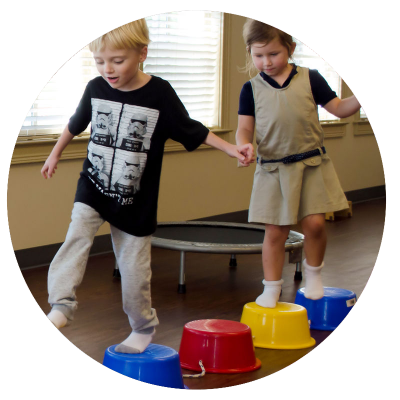 Our new clinic in Buford houses a state-of-the-art Sensorimotor gym, thanks to the Fun Factory Sensory Gyms company. Helping Hands Pediatric Therapy also provides services in the natural environment through the Babies Can’t Wait Program in Gwinnett County for children birth to 3 years of age. We are offering a Social Skills Group for children to focus on skills of Listening, Following Directions, Impulse Control, Joining In with Peers, Making and Maintaining Friendships, Communicating, Cooperating, & Compromising (just to name a few skills). This group will be led by an experienced Occupational Therapist, Speech Therapist or ABA therapist. Call our clinic for more information. We are currently interviewing for an occupational therapist to treat clients Monday through Friday from 2 to 7 PM, which will quickly build into a full-time position. Having the support you need for any crisis is why we are here. We want you have a sense of grounding that leaves children knowing they are valued as they are. Come by for a visit and speak with our staff and see what a wonderful environment we have!